For 2019, our Apgar corral is scheduled to be open from May 18th through September 2nd, weather dependent. Of all the one hour rides we offer, the Apgar Meadows trail is the most scenic. This is a great option for beginner riders as it is only half the distance of the C.M. Russell two hour ride, but still offers great views of either the Flathead River or the Oxbow of McDonald Creek and good opportunities to see animals! This two hour ride is our most popular Apgar offering. You’ll love the combination of cruising underneath the green canopy of a lodgepole forest while simultaneously getting great views of the Middle Fork of the Flathead River and the lower portion of McDonald Creek. The Apgar lodgepole forest is home to plenty of resident wildlife including black bear, deer, coyotes and beavers – so keep your eyes peeled! This three hour ride starts out on the C.M. Russell two hour trail but then continues across Lower McDonald Creek and passes through more meadows and mild hills with excellent views of Lake McDonald in certain areas. 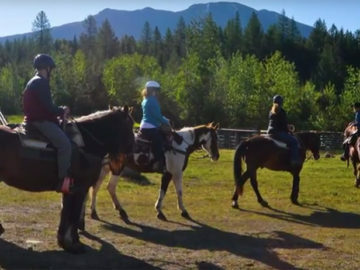 This ride is only offered when horses and guides are available, so there are not set times. However, it can be a great alternative to the steep climb of the Apgar Lookout ride. . This half day ride takes you through a lodgepole forest, which burned in the Roberts Fire of 2003, to the NPS fire lookout atop Apgar Mountain. The combination of bare trees from the burn and the steepness of the trail provide incredible views that keep getting better as you climb to the top. 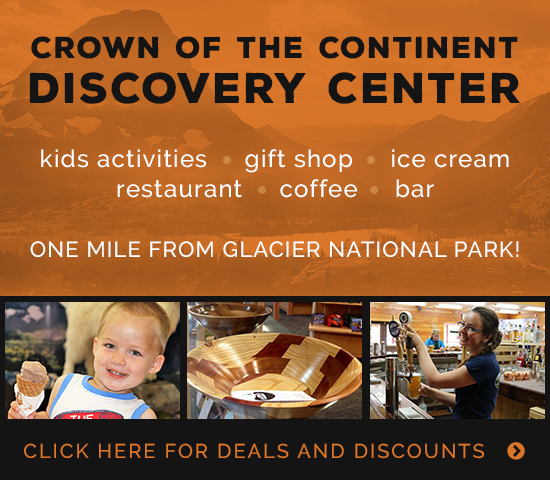 Once you reach the top, you are treated to panoramic views of the Lake McDonald Valley, the North Fork, the Gateway to Glacier Canyon and even glimpses of the Great Bear Wilderness. There is very little tree cover since you are riding through a burn, so bring sunscreen and water. This trail is recommended for more experienced riders due to the steepness (2500 foot elevation gain) and has a four person minimum.